Sometimes Court doesn’t go your way. Judges make mistakes, witnesses remember it wrong and you may ask for improper relief. But, all is not lost. You have options. Motion for New Trial. This motion, sometimes referred to as a motion for reconsideration, can provide an avenue for the Judge to correct the mistake. They must be filed within 10 days of the Final Judgment and they are not for a do-over, but to correct a clear error of law or fact. Appeal. You may appeal any Final Judgment. You have 30 days to do so from the final ruling and if you do a timely Motion for New Trial it resets the appeal clock. Appeals can be cumbersome and daunting. These are to the appellate court, not the Court that decided your case. However, an appeal is based on what happened below, the trial record. It’s not for new happenings. Modification. Even though your judgment may be final, certain aspects are always modifiable. Custody, support, visitation and certain other payments may be changed by the Court if circumstances warrant it. 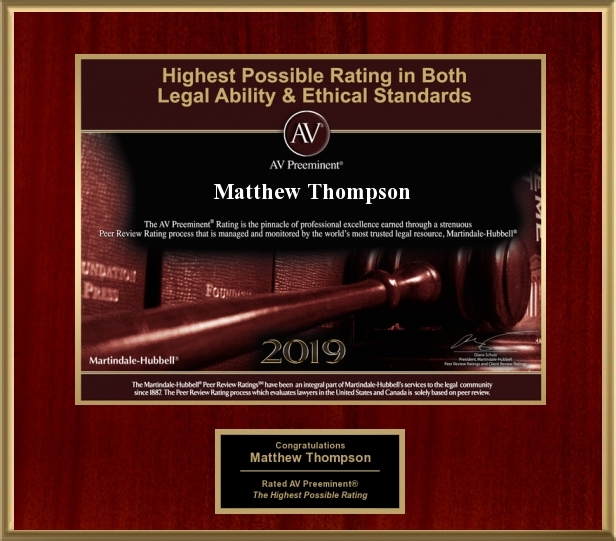 Matthew Thompson is a Divorce and Appeals lawyer in Mississippi.